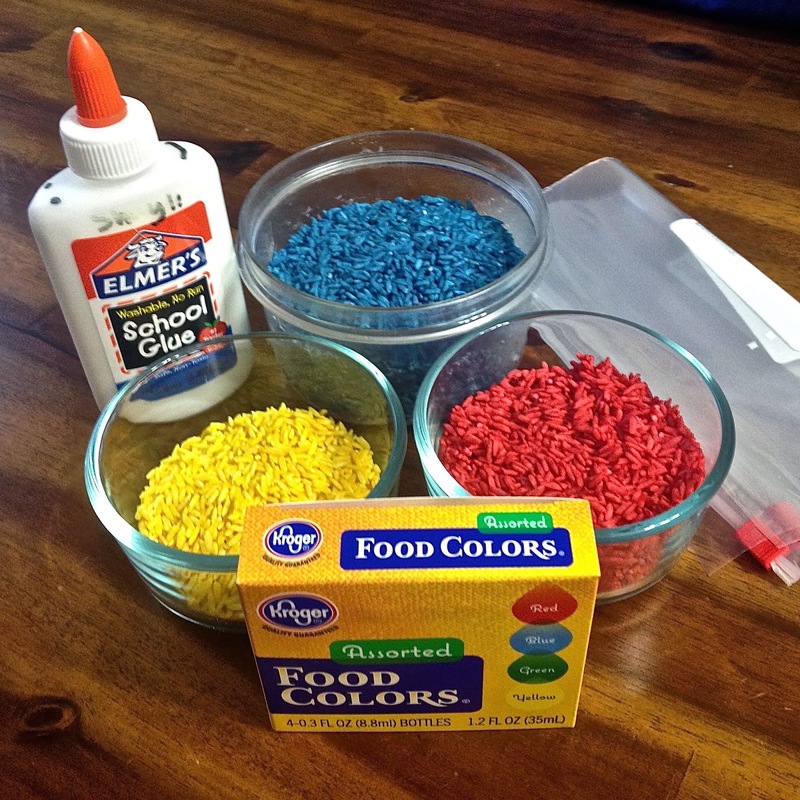 Colored rice is a fun medium to use for different craft or art projects. For a Kansas Day project my daughter and I colored rice and glued it to a Jayhawk. In a ziplock bag add 1 tablespoon of water. Add food coloring to the water to your liking. Add the rice you would like to color to the colored water. Squish the rice around in the bag until all of the rice is colored. 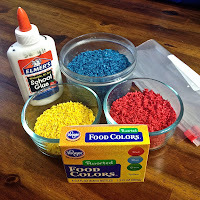 If the color is too light you can add more food coloring. 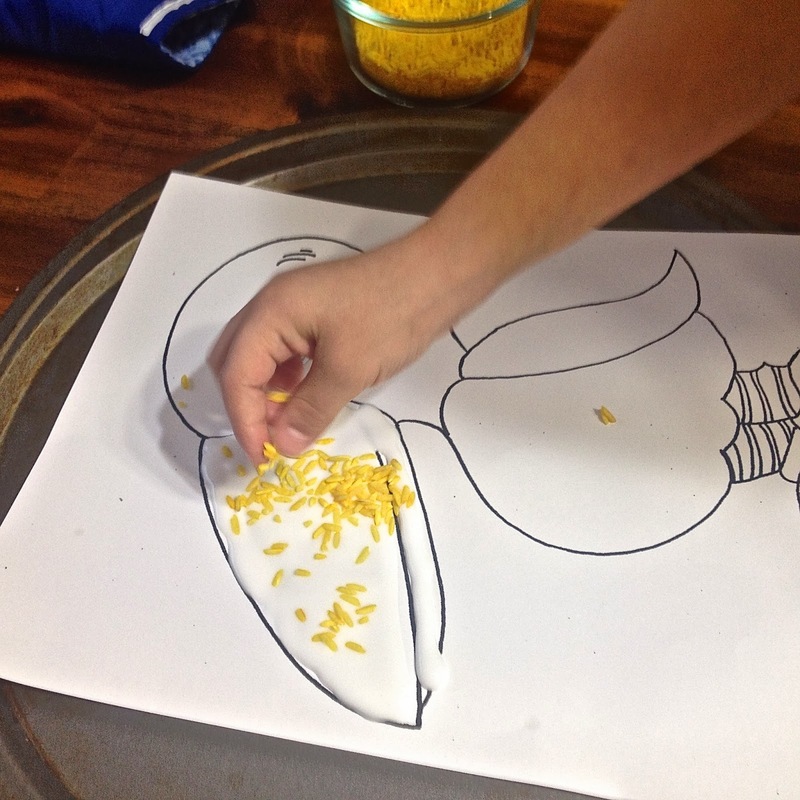 Once your rice is all colored spread out the rice on a paper towel to dry. 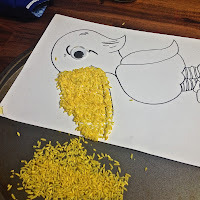 Spread glue all over the area you want to add colored rice. We did one section at a time. 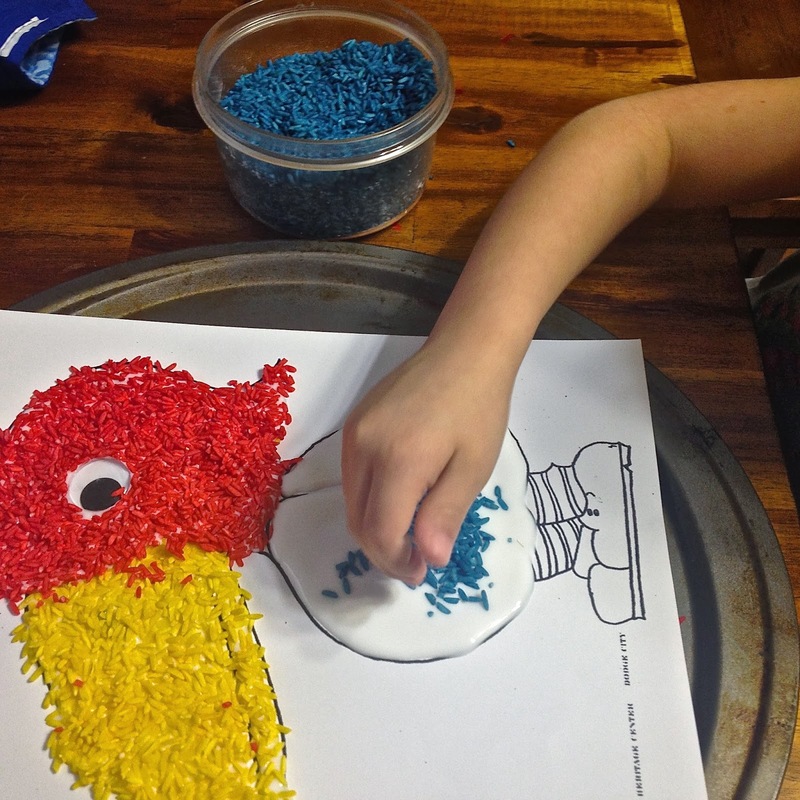 For example we spread glue on the beak. Cover the glued section with the colored rice. Over a trash can shake off any extra rice.